In this post I’ll explore how to set up MFA (Multi Factor Authentication) in a user application written in Java. 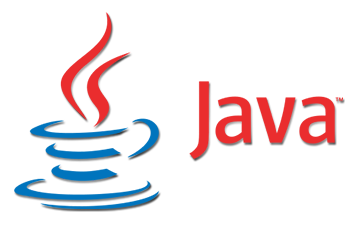 Be it a stand alone java application, or a web portal. And I’ll examine how the Google Authenticator smartphone app can be used by the user to generate an MFA code. First, I’ll assume that you already have a data back end which stores user’s details, and a scheme to authenticate usernames with password. MFA will augment the already existing user auth scheme, and not replace it, by adding an added layer of protection in addition to the password. Let’s examine. The generateNewKeyAndGetQRBarcodeURL() method is what generates the MFA key, and returns an instance of the MFACredentials class. The returned values include the username, a URL that can be used to generate a QR barcode that can be scanned into Google Authenticator, and the user’s MFA key. The MFA key should then be stored in MFA_KEY field in your USERS data table. Note that the hostname passed in is not important and you can make it whatever you’d like, at least for the way we use MFA in this example. The QR barcode URL returned by generateNewKeyAndGetQRBarcodeURL() should be sent to the user, with instructions to visit the URL in a browser on a device, and then scan the QR barcode into the Google Authenticator app on a smartphone. Next, in your UI you’ll want to add a field for a 6 digit numeric code, call it “MFA code” or whatever you please, in addition to the existing username and password fields. // Window is used to check codes generated in the near past. // You can use this value to tune how far you're willing to go. The checkCode() method takes the user’s MFA seed key (taken from the MFA_KEY field in the USERS table in our example), and the numeric MFA code that the user passes in. It then authenticates the code against the user’s MFA seed key. You can call the checkCode() method in your server side method that takes the username/password/mfa-code input from the user for authentication. If checkCode() returns true, all is good. If false, that means the MFA code input was incorrect. And voila, you now have a way to generate an MFA seed key, send a user a URL that generates a QR code that they can use to scan into Google Authenticator, and take the user’s MFA code, to authenticate it. Google Authenticator will generate the MFA code for the user to input when logging in, along with their password. Disclaimer: The code above was originally not my own, and at this point I’m not sure where I got it from. Though I augmented it a bit, I cannot take credit for it.